Zone 3. I have questions about whether or not this is native. Easy and very lovely. 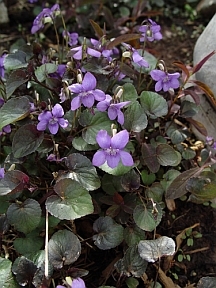 Like most violets it will self-sow, though not as rampantly as the common violet. Foliage provides food for fritillary butterflies.